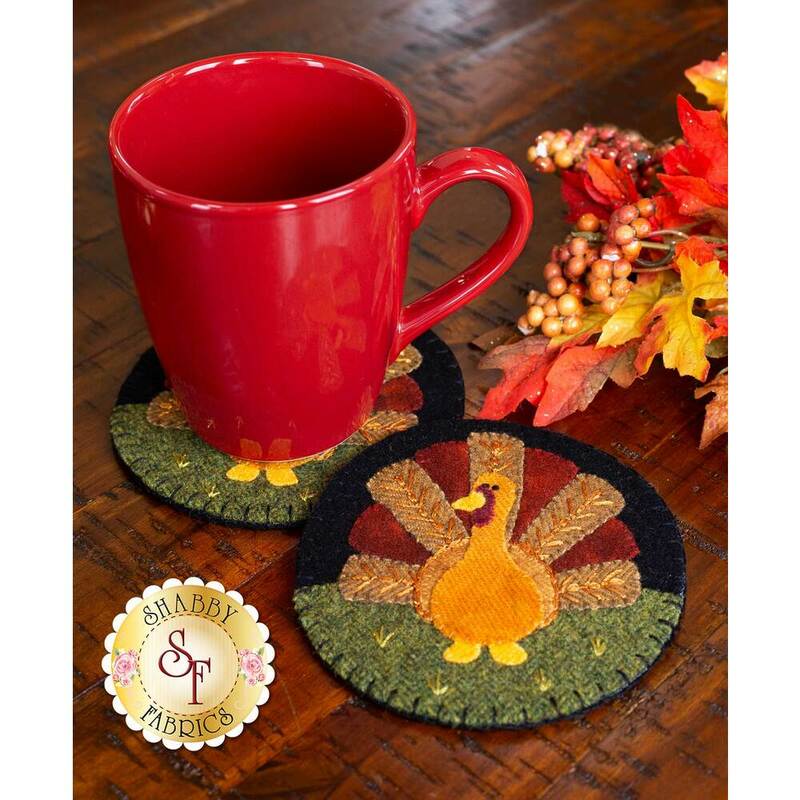 Fall is a time for warm drinks, cozy days indoors, and family gatherings. 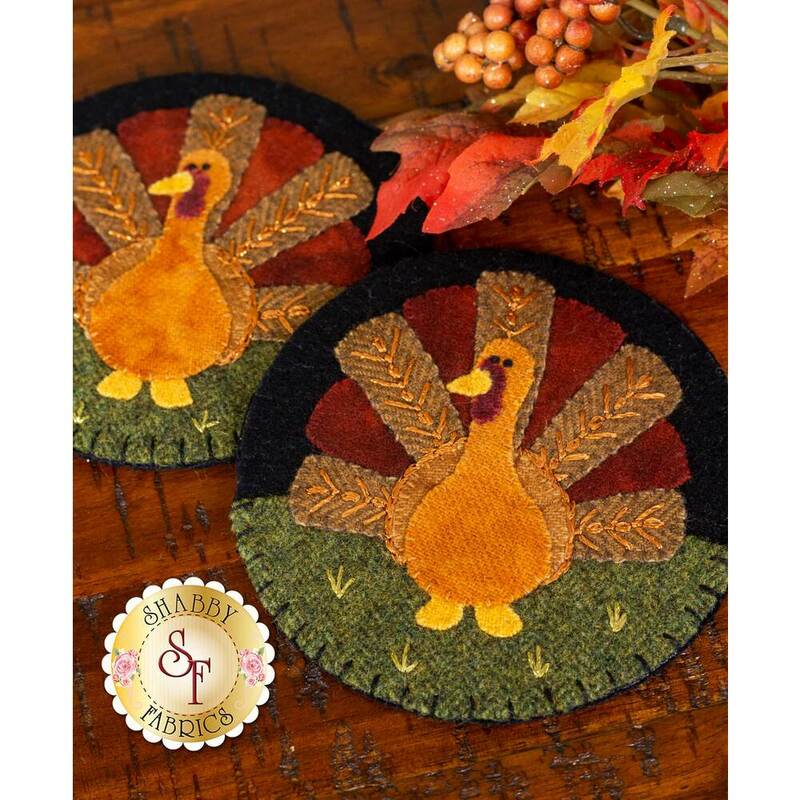 Your guests will be charmed by the vibrantly colored hand-dyed wools and metallic thread that make this turkey a festive addition to your harvest decor. 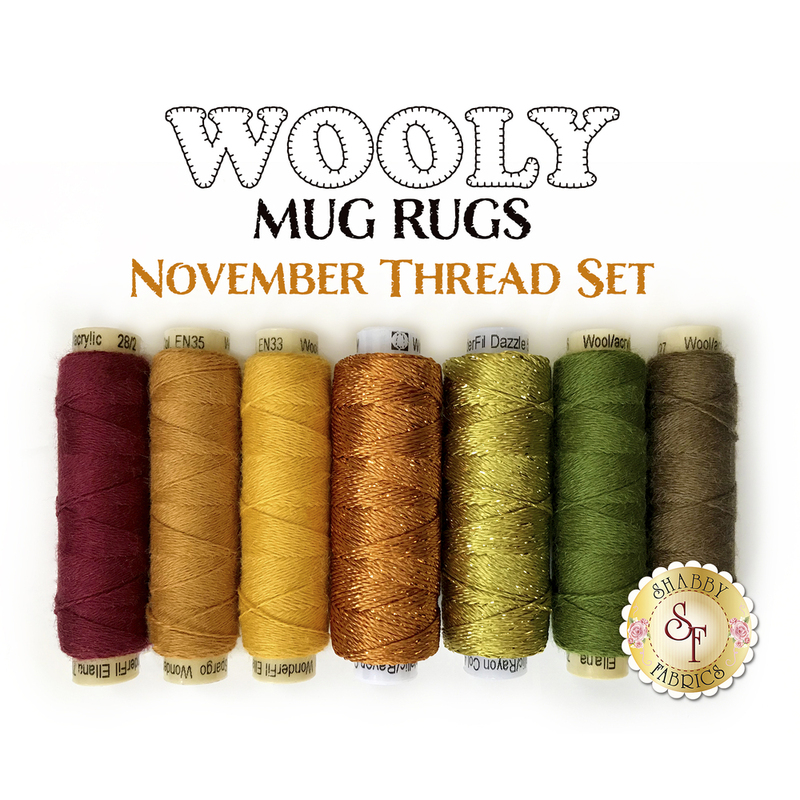 7pc Wooly Mug Rug November Thread Set - Coordinated Ellana wool thread and Dazzle thread that'll add that extra special touch to your mug rugs! Already have some of the spools? Threads are also available individually! 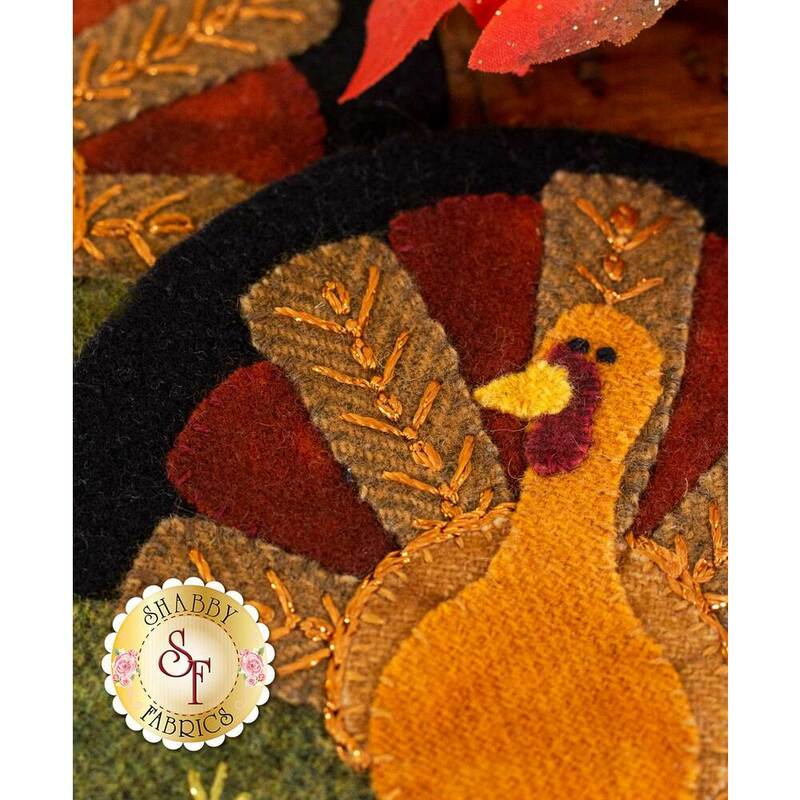 Download the Wooly Mug Rug - November Diagram Here!